“Gateway Has PANYNJ Funding Commitment” – good to see New York’s share of this project has been committed. Wow. I couldn’t agree more with the Post Editorial Board. They nailed the important points, while other access-driven mainstream outlets appeared clueless at best, like Charlie Brown running for Gov Cuomo’s highway-widening football at worst. Is this the rapture or something? I think the idea is this: in New York if you wait to spend actual money responsibly, some other special interest has already grabbed it. I think the idea may be is that if you don’t squander $100 billion on projects that you pay too much for to fund retroactive pension increases for unionized construction workers, the legislature will just pass more pension increases for unionized public employees. You end up bankrupt with a collapse of public services anyway, thanks to Generation Greed. So let’s all agree — no one under the age of 60 has any obligation to pay for NY’s debts and pension underfunding. It would be morally correct for us to simply refuse to do so rather than pay any more, and/or accept an less. The same is true for what Generation Greed has done, and is planning to do, at the federal level. Looking at you, Reagan, Bush II and Trump. I’m not on Facebook. Anyone else have a suggestion on how to start a movement in favor of default? For those of you who remember the devastation caused by NYC’s debts and pension increases run up in the 1960s by people cashing in and moving to the 1960s, consider this. From 1970 to 1980 the CPI doubled, meaning the real value of those debts and pensions was cut by half. Somehow or another, we have the right to do that again. Instead of a movement for default, why not a movement for a massive federal bailout? Let the people with unlimited funds assume all local debt. It’s a less chaotic way to achieve the same end, and several other states would benefit too. 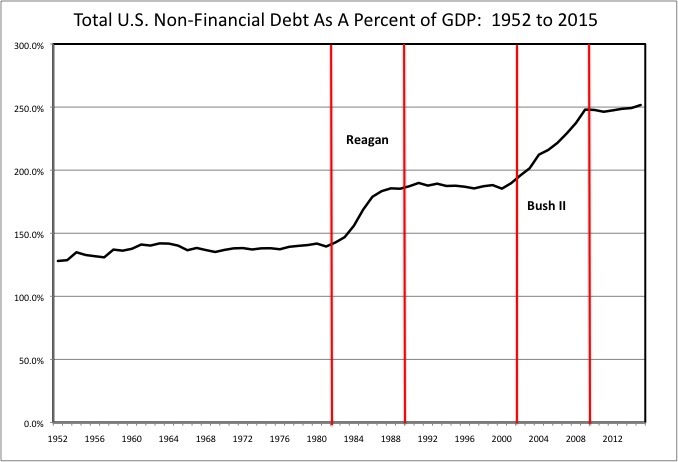 If you are talking about monetizing all the debt, you are talking about redoing the 1970s — inflating away debt — and thus wealth. Seniors don’t like that. But drastic measures like those might turn out to be the only ways out. The feds can “print” all the money they want through debt monetization, sure. I wasn’t necessarily suggesting aggressively monetizing debt, though I would assume, in the absence of a more aggressive taxation regime,* some debt monetization is probably unavoidable in this situation (not necessarily to an inflationary degree, however). On the flip side, if the feds merely assume local obligations without aggressive monetization, it possibly might even relieve inflationary pressure given that entities with higher risk would have their debt assumed by an entity with no risk of being unable to pay (besides political risk). It doesn’t net add to the amount of debt in the economy, since we are talking about the feds assuming debt that already exists, so I would think near-term impacts on inflation should be negligible. But drastic measures like those might turn out to be the only ways out. That doesn’t make you wrong of course…. I’m totally onboard for a default for the same reasons I feel student loan defaults are justified. In both cases the previous generations did things solely to benefit themselves at the expense of future generations. We need to say to those who received retroactive pension increases, or didn’t want to pay enough taxes to cover the services they wanted, that the party is over. We’re rolling back the pension increases, perhaps cancelling pensions altogether. We’re hitting those who got rich not paying enough taxes with heavy inheritance taxes when they die. We’re henceforth carefully monitoring all public works projects to ensure not one dime goes to those not directly involved building or designing them. We’re auditioning the expenses of those who are involved to make sure they paid reasonable rates for materials and labor.